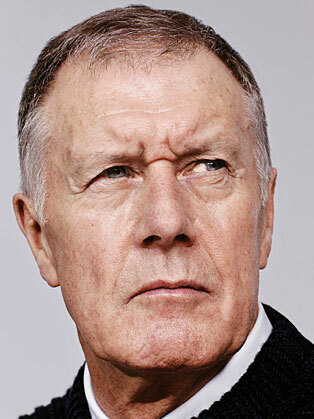 During Sir Geoff Hurst’s (MBE) schooling career he divided his sporting interests between football and cricket. Excelling in both areas, it was not until he reached seventeen that football started to dominate his ambitions when his first job interview after leaving school was a trial at West Ham United. Cricket continued to play a role in Geoff's sporting life playing for the Essex Second XI. A first-class cricket match for Essex against Lancashire in 1962 was to be the peak of a promising career but later that year Geoff decided to concentrate exclusively on football with West Ham. Initially a strong-running midfielder, the manager, Ron Greenwood, spotted Geoff's talent as a striker and moved him to centre forward, the position he was to play for his entire football career. Early in 1966, Alf Ramsey, the England manager, named Geoff in the England line-up and included him in the squad that was to compete for the World Cup at Wembley in July of that year. The 30th July was to be a pivotal moment in Geoff's career, and his life, when he famously became the only man to score a hat trick in a World Cup Final. His place in the history of football was assured. Continuing his club career with West Ham until 1972, Alf Ramsey selected Hurst as his first-choice in the attack for six years between 1966 and 1972, the longest run of any forward during his time as manager. During this time, Geoff became one of the highest paid footballers in the UK. After finishing his playing career with Stoke City, West Brom and the Seattle Sounders, Geoff moved into management career initially as assistant to his ex-West Ham boss, Ron Greenwood. A player-manager role at Telford United followed in 1977 and from 1979-1981, Geoff took up the position of manager at Chelsea. After experiencing a pivotal moment in his international playing career, Geoff remembers a pivotal moment in his managerial career that was to have quite a different outcome. Chelsea were playing in the penultimate game of the season against Swansea. Faced with an opportunity for a seemingly easy header, Mike Fillery missed his chance to change the future of the club. If he had scored, Chelsea would have been promoted but it was not to be and Chelsea remained in the second division struggling to find both money and form. The following year, Geoff was sacked. After struggling to find work in management, Geoff made a huge decision. He left the world of football and joined the business world. With no commercial experience, Geoff went on a course to learn the basics of selling and gain a knowledge of his new product, insurance. "Suddenly, I was no longer a well-known footballer and World Cup hero." says Geoff. "I was another man in the street struggling to pay the mortgage. In the space of a fortnight my life turned around completely. The induction course taught me how to approach people. Until this time, everyone had approached me - for autographs, for charity events, for photographs, for interviews, for TV and personal appearances. Now I had to learn how to approach strangers." In his autobiography, 1966 And All That, Geoff paints a vivid portrait of his new life on the road. Over the next 20 years, Geoff was to build a successful career in the insurance business before retiring in 2002.